More than 4,000 female transition year students attended the I WISH—Inspiring woman in Stem—initiative conferences in Dublin and Cork this month. The initiative was created three years ago with the core objectives of encouraging participation of young woman in STEM—Science, Technology, Engineering and Maths—jobs, building a sustainable talent pipeline in Ireland, and influencing the subject choices of those in transition year. DCU President Brian MacCraith spoke at the event, highlighting the importance of female role models in Stem industries. “There is no such thing as a male job and no such thing as a female job,” said MacCraith, who hopes to break such stereotypes by better educating parents on their children’s career options. From previous conferences, results found that 60% of girls changed their subject choices because of I WISH, according to Caroline O’Driscoll, one of the founders of the initiative and a tax partner with KPMG. These results will hopefully change the dramatically small numbers of females in the STEM workforce, and females currently pursuing STEM degrees in third-level education. Currently, only a quarter of people working in STEM fields are women in Ireland. As for third-level education, only 22 per cent of maths entrant students are female, 17 per cent for IT, and 24 per cent for engineering. According to a report by Accenture that surveyed 1,500 11-18 year old girls, 2,500 19-23 woman, and 500 parents all from Ireland and Britain, two reasons for such small numbers are negative stereotyping and lack of parental knowledge of career opportunities. 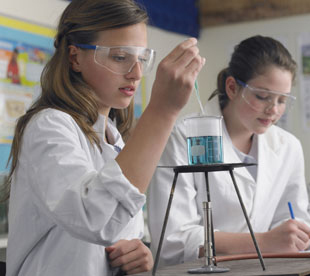 The report found that almost half of those surveyed believe STEM subjects are for “male” careers, and almost 30 per cent found that STEM subjects were suited more for boys’ personalities and activities. As for parents, only one in every seven felt that they were sufficiently informed on different career opportunities available to their children, while over half the children and young women surveyed said that their parents were the biggest influence on the subjects they chose in school. MacCraith is hoping to change this statistic by releasing a pamphlet for parents in a major Irish newspaper which explains all their children’s career opportunities, highlighting the importance of females in STEM courses.